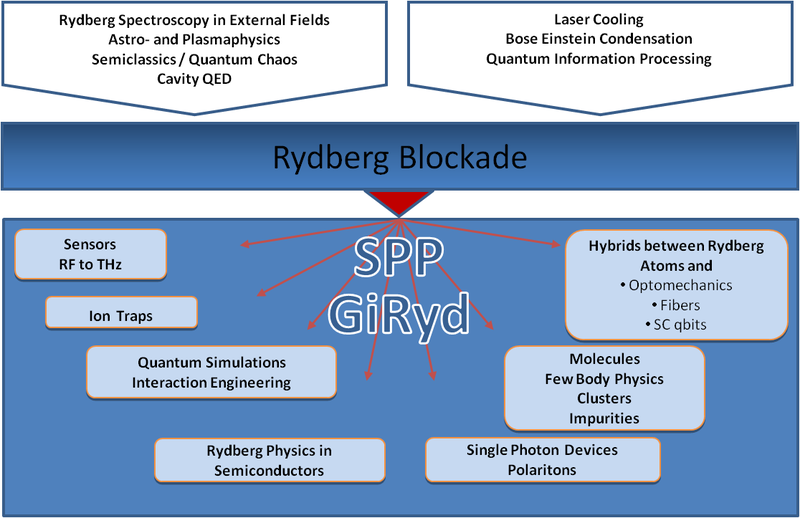 The combination of ultra cold atoms and high resolution laser spectroscopy of Rydberg atoms has enabled the observation of very strong interactions between Rydberg atoms, the so-called Rydberg Blockade. Triggered by this milestone a new research field emerged which is branching out from atomic physics to molecular physics, physical chemistry, many-body physics, quantum information processing, quantum simulation, quantum optics, and semiconductor physics as well as surface physics and sensor applications. GiRyd for Kids: YouTube influencer, fashion blogger and physics expert "Quantum Kate" explains what a Rydberg atom is! Programme for GiRyd Status Workshop (25 - 27 March 2019) is now available!